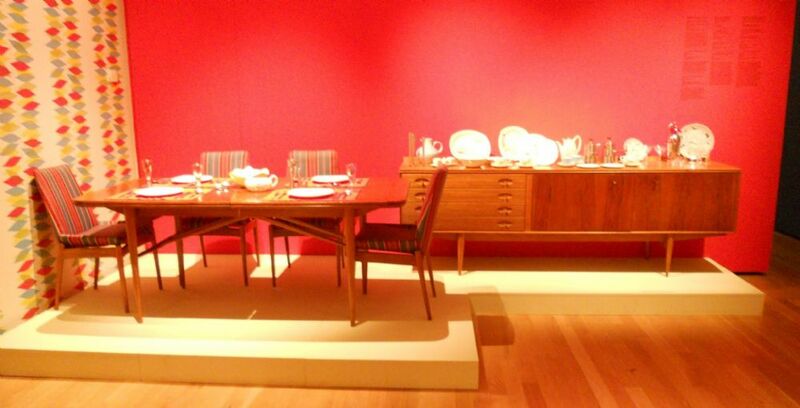 Circa 1959, teak & rosewood dining room suite by Robert Heritage for Archie Shine. Consisting of long 'design award' sideboard, coffee table, extending dining table and six matching dining chairs. Dining table has two extra leaves if required to extend the table by 24 inches, enabling space to seat an extra two or four people. 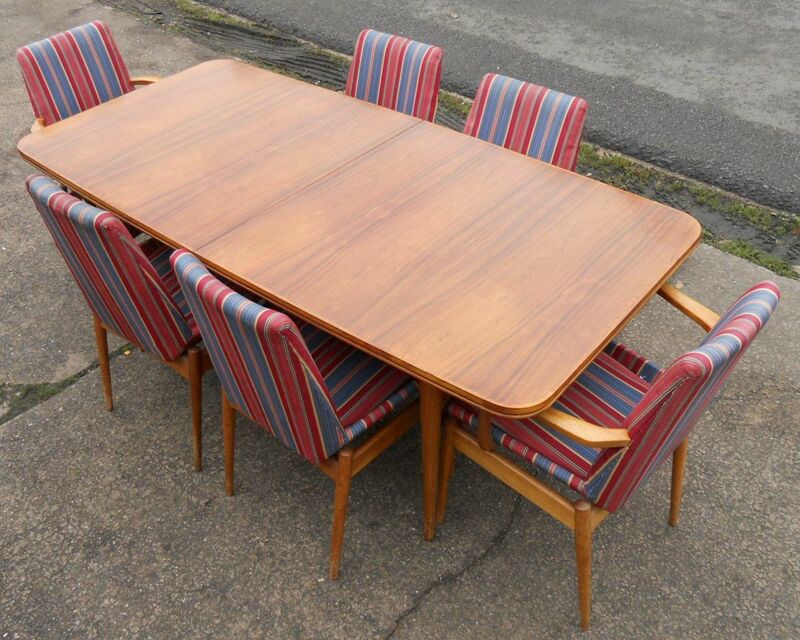 Having original polish finish, this classic design English dining room suite is in nice condition. Sideboard: Height 30" x Length 90" x Depth 20"
Single Chair: Height 34" x Width 19" x Seat Depth 15" x Floor to Seat 19"
Coffee Table: Height 15" x Length 48" x Depth 19"